In this day and age, it’s easy to forget that there once was a time when cars were not the dominant vehicle on our highways, and bicycles were in fact king of the road. 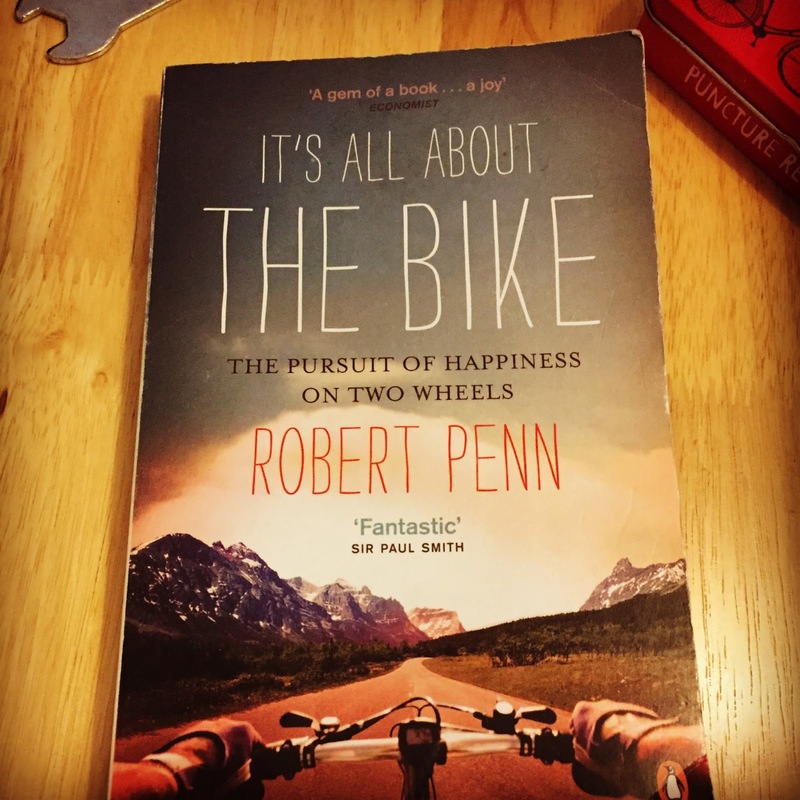 In Robert Penn’s book, It’s all about the bike, he goes a long way in explaining how that used to be the case and just how far the bicycle has come. I find Robert Penn’s writing to be fantastic. His style is complex and detailed but somehow accessible to all. He’s a man who is clearly passionate about his subjects. I first picked up his book on woodworking, The Man Who Made Things Out of Trees and I couldn’t put it down. In that book he includes a chapter on a company that manufactures wooden bicycle frames. He mentions that the story of going to visit this particular company was omitted from his first book “It’s all about the bike”. “He’s also written a book about bikes? !” I thought. I think it took me all of 30 seconds to order it. But what about this book? Well, it really is all about the bike. Robert’s dream bike to be exact. It is a chronicling of Robert, putting together all of the elements of a bicycles. Each chapter is broken down into each component part. Each chapter tells the story of Robert getting these parts for his own dream machine but also delves deep into the history of each of these areas. The reason I liked this book, is the same reason I liked the book in my previous review, Shop class as soulcraft (Read here). It combines personal story and grounds it with historical, factual information. If fact they are pretty similar in terms of style, so if you liked that one, give this one a try too. If there has to be a negative, for me, it’s that there is a lot of information and detail covered over very few chapters. It can be a little jarring to go from a historical story about the penny farthing straight into a story about visiting a wheel factory in America today. But in the end, they are connected. And I think that’s the point of the book. Bicycles connect us all, in so many ways and have shaped a lot of our automotive lives today. Roads, for one thing-The bicycle literally paved the way for all road users today. Tarmac roads where used to aid cyclists, years before the car was even invented (A useful piece of info in the never-ending car vs bike debate). Just one of the many interesting facts I have learnt from reading this book.